….the human element is the root cause in the Costa Concordia casualty, both for the first phase of it, which means the unconventional action which caused the contact with the rocks, and for the general emergency management. 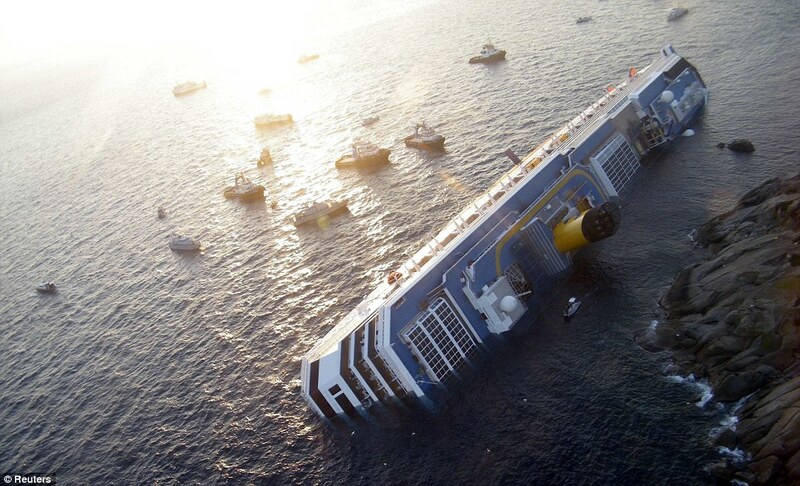 The Italian government’s Ministry of Infrastructure and Transport – and more specifically, the Marine Casualties Investigative Body of that ministry – has published its report into the sinking of the Costa Concordia. This is the document I’ve been waiting to see. Totaling about 180 pages, it includes a detailed narrative account of the accident, including (as far as could be ascertained) the orders given, who by, and when; an analysis of the planning for the voyage; the condition of the ship, and the certifications held by it and by its officers; the effects on normal operation of the damage caused to all systems that were affected by first, the grounding, and secondly the flooding of the compartments that followed; an analysis of the problems encountered in the ship’s power systems; the investigators’ conclusions; and their recommendations. This looks like a comprehensive document. It will take some time to fully read and digest it, as not only is it long (180 pages, as noted above) and somewhat technical, it is also in rather fractured english. It can be understood, but I’m having to read each sentence carefully. Nonetheless, there’s no doubt where the report lays the responsibility. They clearly say that this accident was caused by people, not technology. The report also clearly indicates that it was the Master who made the crucial mistakes, and failed to correct them. There is some criticism of other bridge officers for not challenging the captain’s decisions. There is not the faintest hint of a suggestion of any defect in the vessel, or any mechanical issue, that could have caused or contributed to the disaster; and there is also no suggestion of an errors in the charts. Indeed, there is a clear criticism of the captain for using charts at the wrong scale (1/100000 instead of 1/50000 or smaller), and a further comment (from another bridge officer) that following the disaster the captain could not properly see the radar screen because he did not have his correct close-range spectacles with him. I shall read the report carefully and with great interest. It can be found here, and downloaded and saved – it’s a PDF.